I found an interesting book in my late mothers belongings. It is a hardcover book with Kennedy's inaugural address. 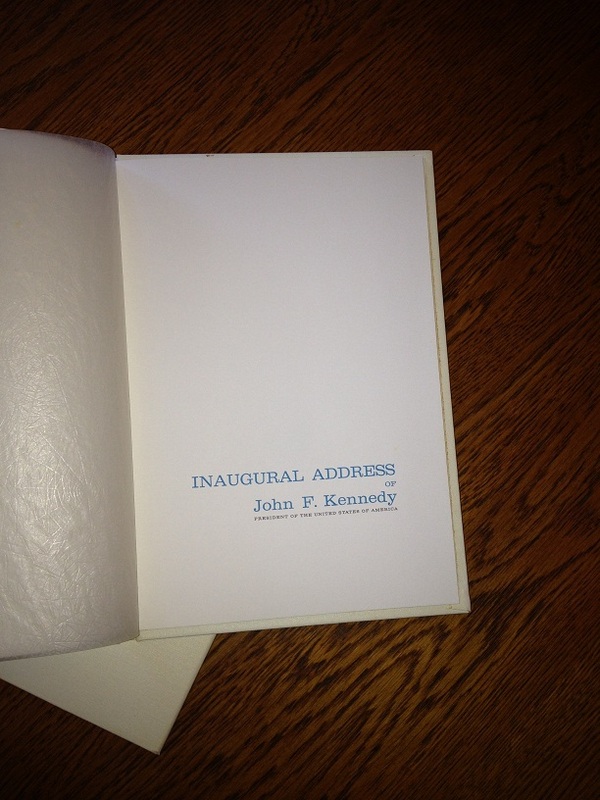 The book is white, on the spine embossed in gold is "INAUGURAL ADDRESS OF JOHN F. KENNEDY JANUARY 20, 1961". 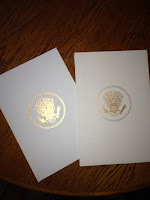 On the cover embossed in gold is the Presidential seal. Inside is simply the text of the speech. 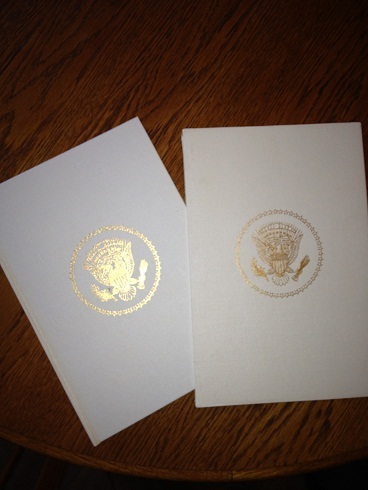 The book is in a hardcover sleeve that is also white and has the Presidential Seal embossed in gold on the front. It measures 7"x10". There are no other markings that would indicate a publisher or copyright. I have attached some pictures of it. Any info you could give would be greatly appreciated. If you can help Sandra please click on the "Comment" button.